It’s that time of year, scrambling to finish projects, everyone and their brother collecting receipts and invoices in anticipation of tax season, bookkeepers and business owners alike scurrying to update equipment and validate backups. You have a current backup, right? We live in, what Jim Shields of Laytonville County Water District, calls the West Zone. The West Zone includes the Rancheria, Mulligan Lane, lower Branscomb Road, and the streets around our “Lake”. The North Road neighborhood is Laytonville’s highest density community. Internet options are currently limited – we love trees, but they can pose a near impenetrable barrier for fixed wireless solutions. My wife and I use different cellphone carriers; AT&T and Verizon. Both work, one is often better than the other. My wife was receiving complaints that her voice was breaking up, and call quality was abysmal. I suggested she restart her phone. Once restarted, she recognized the option: “enable wifi calling” was selected. She deselected, and in doing so, had zero complaints of call quality for the remainder of her workday. When you select (intentionally or otherwise) to enable wifi calling, you have informed your phone (and your carrier) that your calls should go out via your wireless network. If you’re paying for “minutes” on your cellphone, this can be a great way to save money and still use the phone, however, the quality of service you receive is no longer controlled by AT&T, US Cellular, T-Mobile or Verizon. If you have a *good* Internet connection, e.g., one with low-latency and ample bandwidth, you shouldn’t experience any degradation of call quality. If you have Hughes or Viasat (Exede), call quality will drop, substantially. Here’s why: satellite Internet service is a high-latency network service –almost 1 second roundtrip between you phone and the satellite. Comparing call quality to a wifi signal connected to a low-latency (under 30milliseconds) is radical –one service results in choppy calls, echoes, and dropped words, the other, ‘as if’ you were on the cellular network. I get it, there ARE places in our community where the only outside link is Hughes or Viasat, and for those users, being able to use wifi calling is the difference between making a phone call and having to drive into town. Where there are connectivity options, being able to choose the best/fastest connection lends a great deal of flexibility to your digital exposure. But what about quality of service, and why don’t the carriers provide you with a simple pre-call warning: “you’ve opted to use wifi calling, however, we see severe latency on your wifi network which will result in poor call quality.” Off-loading network traffic also means the carrier is wiping their hands of any call quality responsibility. What are your thoughts? VoIP (Voice-over-Internet Protocol) is a mature, widely used network solution for homes and businesses across the globe. Cheaper, faster, and generally more reliable than phone service over aging copper lines. Where Internet options are robust, VoIP is great. Where latency is high (800ms-1000+ms, like satellite service), VoIP can be painful, and reminiscent of the long distance phone calls of the last century. We live on the other side of the digital divide, slowly, but surely, we’ll have robust solutions for most of the community, and mistaken “enable wifi calling” will not doom your calls to echos, drops, and mumbles. Control the things you can and keep the surprises to a minimum. The “Digital Divide”…what is it? How big is it? Which side am I on? These are important questions which can impact your education, job, economics general well-being. The Digital Divide is the gulf between individuals, households, businesses, and geographic areas in regards to access to, use of, and impact of information and communication technologies. Simply put, the divide between those who have broadband and those who don’t. There are many components of this divide, the most apparent in rural areas being lack of access. Joseph Feigon is a technical wizard, and he is here to help you Cross the Digital Divide with his blog below. Joe and his wife Mara moved to Mendocino county from San Francisco about eight years ago, and started building their own business: business management/bookkeeping (Mara), and IT solutions for individuals and small businesses (Joseph). Joe’s experience with telecommunications dates back to the era of divestiture, when he sold phone systems and voice processing platforms to small and large businesses alike. As speed increased and fiber began to replace T-1 lines he moved into video and data. He rode the Internet wave and helped individuals and businesses to connect and access the Internet to fulfill their personal and business goals. He assisted several Bay area municipalities replace their aging PBX’s or Centrex systems with contemporary, VoIP based solutions to embrace exciting new technologies. In today’s world and “information overload” it takes effort to keep our digital literacy skills up to speed. Joe is here to help us with his “Crossing the Digital Divide” columns. 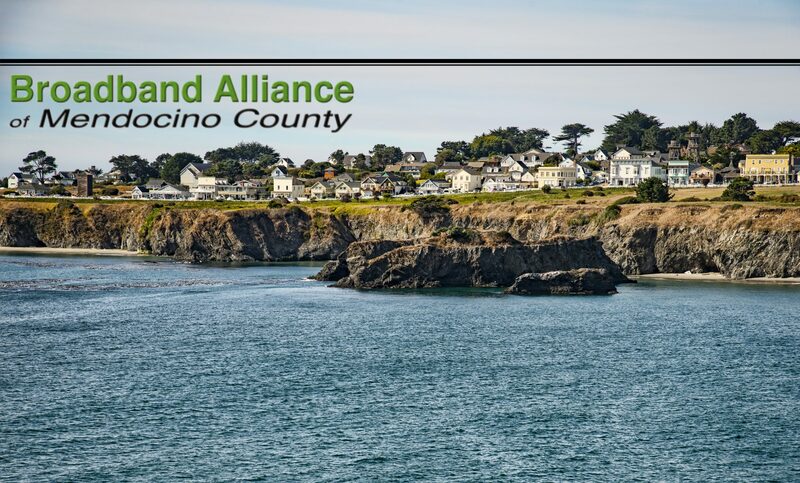 We are are grateful that he is sharing his knowledge with the residents of Mendocino County and viewers of the Broadband Alliance website. You can also find Joe’s columns published weekly in the Laytonville Observer paper. If you want to contact Joe, please use the Alliance contact request and we will pass your inquiry to Joe. Volume 10 – Should I Fix it? Volume 19 – Oh No! Volume 79 – Why IP? Draft “Digital Infrastructure Plan” Available for Comment! EDFC has been working hard on the 2019-2025 Strategic Plan for Digital Infrastructure Development and we would like your feedback. The plan is available for comment until 5:00 pm on Friday, December 14, 2018. If you would like to provide feedback about non-residential use of broadband, or for your organization, please click here.